The attorneys at Brown Duke & Fogel collectively have decades of experience providing focused and practical legal advice to clients in the areas of environmental law, land use, zoning and development, mining and litigation. Our attorneys have the backgrounds and qualifications to handle even the most complex of issues. Mr. Brown’ s experience spans over 30 years and includes counseling, litigation and administrative proceedings in all areas of environmental, land use and natural resources law. Mr. Duke's practice helps businesses navigate complex environmental and land use laws and regulations pertaining to corporate and real property transactions, mine expansions, land development projects, and Brownfield redevelopment projects. 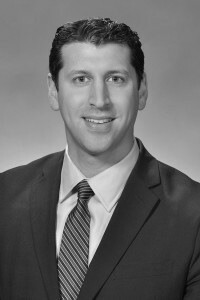 Mr. Fogel’s practice focuses on the areas of environmental law, land use, zoning, real estate development and litigation. Mr. Brown’s practice is focused on environmental law and energy, particularly in matters relating to permitting and compliance, air pollution, facility siting, enforcement, waste regulation and cleanup, and the environmental aspects of business transactions, including insurance and environmental due diligence. For over thirty years, Ms. Stack’s practice has focused on representing the interests of the construction materials industry. Over that time, Ms. Stack has become one of the most knowledgeable and experienced mining attorneys in New York State. Mr. Vegliante has built a practice dedicated to helping owners and developers of land identify the value in their property and maximize it. As a seasoned real estate attorney, he handles negotiation, acquisition, contract and financing issues for sellers and purchasers. Mr. Donnelly is a problem solver who has helped clients statewide in practice areas such as real property tax and eminent domain law. He has helped clients greatly reduce their property taxes and obtain tax exemption. He has successfully represented property owners and government entities in eminent domain proceedings. 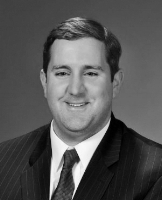 Mr. Ward focuses on the practice areas of environmental law, land use, zoning, and real estate development. He regularly advises clients on environmental due diligence, contractual allocation of environmental liability, regulatory compliance, brownfield redevelopment, and strategies for obtaining regulatory agency approvals.